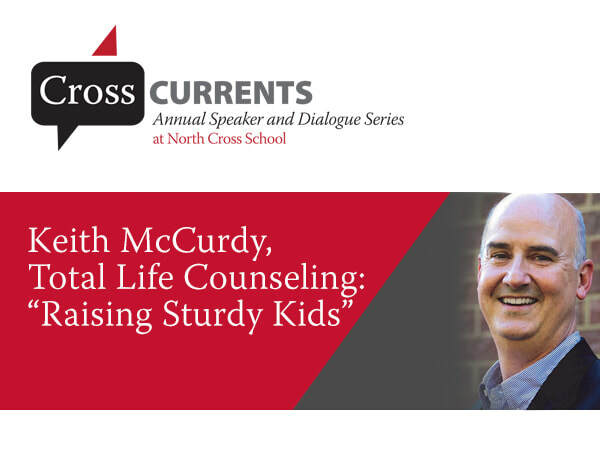 Keith McCurdy, LPC, LMFT, provides counseling and consulting services as well as a variety of workshops on improving parenting skills, building strong marriages, and maintaining healthy relationships. He has developed and regularly offers parenting retreats entitled “Raising Sturdy Kids” to help parents operate from the correct paradigm with their children and has extended and customized this powerful program for schools and students. ​HOWEVER, TO ENSURE WE HAVE ENOUGH SPACE, PLEASE REGISTER THE NUMBER OF PEOPLE ATTENDING. Free child care is available for children who are currently enrolled at North Cross.